***Wondering WHAT the deal is with Dr. Strange and the BLUE masked costume he's wearing? HULK # 10 dropped to spinner racks across the comic-buying world a few days ago with a story by Jeph Loeb and artwork by Ed McGuinness. McGuinness' visuals are things of beauty. That man was born to draw the hell out of this book. Loeb's story, however, while big and blustery fun (and, merely setting the stage this ish), is also, shoddy - from any Dr. Strange fan's perspective. The Grandmaster, one of the Elders of the Universe, and his brother, The Collector are having one of their frequent "chess-game" like squabbles where they get various heroes and villains from Earth as pawns/combatants and set them up against each other in a "Contest of Champions". Usually, some kind of wager is on the line, and whomever's team wins the battle wins the bet for their Elder. In this foray, Grandmaster has promised Hulk that the Hulk's long-lost love, Jarella would be returned to him (from the dead) if Hulk's hand-picked team would win the contest against the Collector's team. So, Hulk chooses the DEFENDERS to "defend" the lives of their one-true-loves. While Hulk is allowed to chose the WHO of the team, Grandmaster, however, would select the WHEN of where the members would be selected. 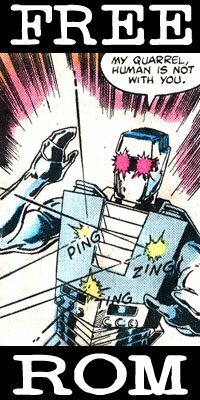 Silver Surfer is chosen immediately after his sacrifice to become herald of Galactus, as he gives up his life on Zenn-La and his love of Shalla-Bal. He is promised a way to be united with her. Sub-Mariner is selected mere moments after the death of Lady Dorma, which was upon the day of their wedding. He is promised her return from the dead. Doctor Strange is taken from the very brief time that he was first wearing his blue-masked "superhero" costume. Clea is by his side, fighting against Mindless Ones, when she is sucked away into some mystical vortex ( ...at least that's what it looks like. It's a rushed scene and it isn't really clear WHAT happened) before he is beset upon by hoards of Mindless Ones. The ersatz-Defenders rally to his aid and Strange is promised her safe return should he join the team. See the scanned pages below. There are several problems immediately evident in this scene. It's supposed to be the Hoary Hosts of HOGGOTH - not HOGGARTH. Hulk has always called Dr. Strange; "Magician" or "Stupid Magician", not "cape-man". Mindless Ones are (at least USED TO BE) indestructible! Only recently (the past 3 years or so - first starting, I believe, in the comic; NextWave) that Mindless Ones have been shown to be vulnerable. Before that, they were impossible to bust apart like this. But those three points are neither here nor there. 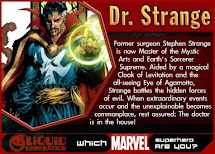 First of all, when Strange was wearing that version of his costume, he was immediately involved in a series of events that led to his being engulfed in several cosmic battles that took him away from Clea - whom he had only recently rescued from exile and whom he left safely behind in the Sanctum. These battles (with the Black Knight against Tiboro, with the Avengers against Ymir and Surtur, and then the near-final battle against the Undying Ones (wherein he first meets and teams up with Namor and then Hulk)- a battle where he, for all intents and purposes, sacrificed his life, choosing the be a willing prisoner within another dimension, to halt the advance of the demonic Undying Ones) were all in rapid succession, with little or no time in between for this scene to take place. Also, of note, is that at this point in her life, Clea's mystic powers were at their nadir. Frankly, Strange wouldn't have involved her in any battle, since she was practically useless, magically. Certainly, she could just have been caught up with him in the battle and is reliant upon his spells to safeguard her (as it seems here), but since she and Strange had only very recently returned from the Dark Dimension, (after she was rescued from her long imprisonment in a lost dimension,) there seems little reason for them to return there so soon. Back in Strange Tales # 127, after Strange "defeats" Dormammu the first time, with the aid of Clea, Dormammu wishes to punish her, but promises not to do so, as payment for his debt to Strange. Emo Strange is very emo. Should The Grandmaster have selected Strange from this point in his life, it would have made sense. 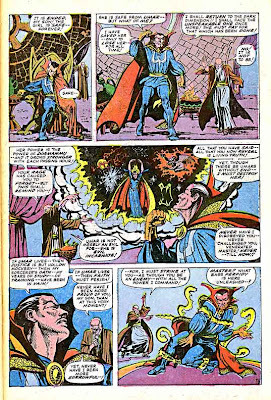 Another (better) instance, was (in Strange Tales # 155,) where Strange now battled against the sister of Dormammu (and unbeknownst to all - Clea's mother), the Unspeakable UMAR. 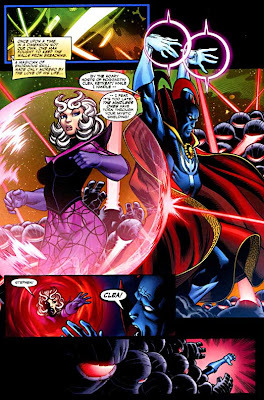 Clea had just been released from her imprisonment because, due to Dormammu's "death" during a battle with Eternity, the power of his spell was negated, and Clea tried to make her way to Strange's side. However, Umar stood between them and caused the pair to battle for their lives in an epic gauntlet of dangerous perils. 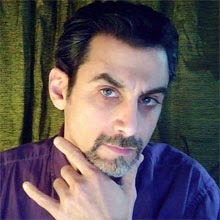 Realizing that Clea is in dire peril (again), this time from Umar, Strange calls to his mentor; The Ancient One for aid. cast her from this plane of existence to a realm of unknown origin - and no method of return. By the Blue Balls of Belathouzer! All pages from Strange Tales # 155 - Stan Lee & Marie Severin. Strange is absolutely furious at the loss of Clea (so soon after being reunited with her) that he will do anything to win her safe return! He's ready to move Heaven and Earth for the sake of his love! THIS is the point from which Strange should have been plucked from the time-stream. After this spell, Clea would be lost to him for YEARS. He would eventually rescue her with the aid of Victoria Bentley in his first spin-off series; Dr. Strange # 171 - 172. Just prior to his donning the blue-masked costume. One other point that might have worked would have been in the events of Doctor Strange; Master of the Mystic Arts # 1 - 5. The villainous SILVER DAGGER, having effectively infiltrated the Sanctum and very nearly slaying Strange, absconds away with the Eye of Agamotto and Clea! Strange, while trying to save his own life must also do all that he can in order to also save CLEA. He risks all in a dire battle within the realm of unreality for this goal. Would that Loeb had pulled Strange from this point in the time-stream, Strange would have been a near-fatally wounded (possibly adrift in the realm of unreality) man with mere hours to live. In this weakened state, he would have to succeed in his battle alongside these Grandmaster-gathered "Defenders" in order to continue his plight against Silver Dagger, winning his own life as well as Clea's freedom! 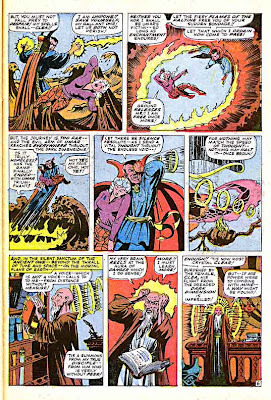 The only other point where Clea is taken from him would be MUCH later (in the classic Doctor Strange; Master of the Mystic Arts # 55). However, there, she leaves of her own free will - and Strange is so overwrought that he was an absolute wreck of a man. That would ALSO have been an interesting point to make the selection. Strange would have wanted to do ANYTHING to be reunited with her, but he was functionally useless. A great bit for storytelling purposes. However, Loeb does not select any of these actual, in canon, time-periods for his out-of-the-time-stream version of Stephen Strange, instead choosing to make one up - and thus screw up any sense of chronology or consistency (you can see I'm trying not to use the other "C-word"..."Continuity"). In this story, modern-day Hulk asks why Doc is wearing a mask and Doctor Strange KNOWS who the rest of the Defenders are, even though, he would only first meet Namor and Hulk while IN this guise. Hulk should know that Doc has worn a mask twice before while they had dealings together (ie: during their first meeting and many years later during "The Order"). It shouldn't be anything "new" to him. The rub truly comes into play when Doc first met Namor and Hulk, it was at the very end of his time wearing this outfit. When he was at the end of his "last" adventure (where he first met Namor and Hulk) he was rescued from that alternate dimension and GAVE UP sorcery (for a time), removing this costume and not wearing it again until only a few years ago (during the Busiek-penned "ORDER series). Simply put, the fact that he KNOWS and has MET Namor and Hulk means that this would have to take place after his own rescue and forsaking of Sorcery! Strange inlists Namor's aid in retrieving a mystical idol so that Strange can journey forth to the dimension of the Undying Ones. (Strange sacrifices his freedom, becoming a prisoner in that dimension to stop the Undying Ones from gaining access to Earth. Namor is sent back to Earth). Bruce Banner is cast into that Dimension by cultists who seek to aid the Undying Ones by having the Hulk defeat their foe; the Dark Crawler. Hulk and Barbara Norriss (who would, years later, become the Valkyrie) aid Strange and free him (Norriss sacrificing her freedom to take his place in atonement of her sins). Hulk and Strange return to Earth and Strange gives up sorcery, content to live life as a Medical consultant. Suffice it to say, that tale can be found along with Strange's return. It shows the events, a year or so after the Hulk issue, Strange would once again wear the mantle of sorcerer, due to events that occur in a back-up tale within the Defenders first appearance. 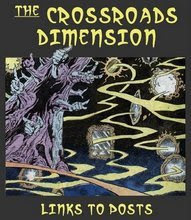 While Strange knows that the Surfer had been trapped on Earth for years, he only met the Surfer AFTER this stage of his life, at the original formation of the DEFENDERS. Although, it isn't out of the question that knowledge of the Silver Surfer (or his plight) would be known to him. One discussion with any member of the Fantastic Four would reveal as much. It all just seems like a bad (and sloppy) continuity-implant. While he does select actual, canonical points in the lives of the other Defenders, for Strange, Loeb either doesn't do the research (unknowingly making something happen that, frankly "couldn't") - OR - he did something far more sly. would for it NOT to be the Stephen Strange of the "616" mainstream Marvel Universe. 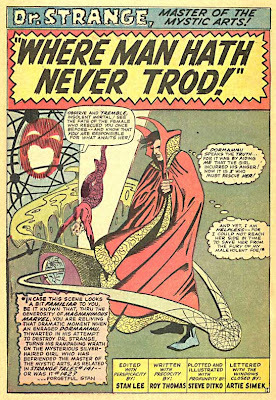 The COUNTER-EARTH version of Doctor Strange wore this costume the majority of his career, and eventually went rogue, calling himself the Necromancer. This version of Doctor Strange met the cosmic being known as Eternity many years before our own version of Strange did. The meeting was one of hostility, however, as the Necromancer attempted to attack Eternity, and was imprisoned within the vastness of the entity until MANY years later (during the Infinity War). It was this meeting that Eternity had subconsciously passed along to the "616" Strange, so that is where the idea for the blue-mask costume would originate. OUR Strange, unknowingly adopted HIS costume for a while. However, before the Necromancer would take up battle against (and be imprisoned by) Eternity, he would have had similar adventures as did our own Strange. Possibly, even having battles with Dormammu and a love for Clea. She might not even have known that this version of Stephen Strange was NOT the one she had fallen in love with originally - especially as since each time "her" Strange had been united with her, he was wearing a different costume variation! - first in his Blue cloak, then the "classic" cloak. So it could be THIS "counter-Earth" version of Stephen Strange who has been selected to be a part of this impromptu assemblage of "DEFENDERS". 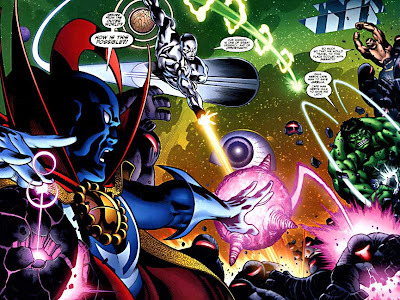 However, if it IS... then the Collector's opposing team; The OFFENDERS (consisting of Red Hulk, Terrax, Tiger Shark and BARON MORDO) had best watch out... for the Necromancer version of Doctor Strange was eventually out to gain power... and to RULE! Whether he was ready to do so at this juncture of his career, or if he was still the well-meaning pupil of the Ancient One remains to be seen. The ENDING of this story-line really CAN'T go the way of the HULK and his team, since we know that lady Dorma stays dead, Surfer never really ever gets back together with Shalla-Bal, and Jarella, sadly, remained dead as well. CLEA, however, lives to see another day. So... either the Defenders WIN, but then have to forsake their wishes for the "greater good" or the "OFFENDERS" win - OR - some kind of plot-twisteroo occurs. Maybe dealing with the fact that this isn't really Dr. Strange. OR... and probably more probable... it isn't really CLEA. * I should also toss out there (purely for the sake of completeness) that Baron Mordo ALSO dressed in that blue-masked costume, while he was masquerading as Dr. Strange! This was shown in Marvel Feature # 1 (the Back-Up story wherein Dr. 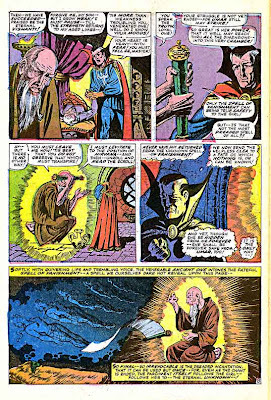 Strange returns to his role as mystic master) - after having given up the mantle following his adventure against the Undying Ones (with Namor and Hulk, upon their first meeting) after the end of Strange's canceled first title and guest spots in the other's titles (wherein his saga was, ostensibly, to have come to a close). However, THAT would be too arcane for ANYONE (with the exception of Roy Thomas or Kurt Busiek) to delve into. I DID enjoy the big, chunky fun of it, and if I have to, I can squeeze this event in at just before or after the last issue (# 183) of his first series. But, if I wasn't this thorough... who would be? What if, during the 5000 year War of the Seven Spheres, Doc had to replace himself with a masked Horcrux (Harry Potter reference there) and imbed it with all his powers so he could return to Earth 1 day later and powerless (as we saw in Dr. Strange Vol. 2 #80). Yeah, I'm totally stretching here. Oh... Howard... how sad is it that you and I seem to be the ONLY ones who want to have that out-of-time 5,000 year "old" Strange come into the mix. So, if you want to use him for this... "stretch" away. I was having fun with this story up until we had Galactus saying the Grandmaster's power nearly rivaled his own and BACKED DOWN! Since when has Galactus ever admitted anyone's power rivaled his, much less backed down? He took on the Beyonder, for Winslow's sake! Although I was also puzzled by the Grandmaster's choice of Jarella. Here the Hulk has just fought a huge battle over the death of Caiera, you'd think he'd currently be mourning her more than Jarella. Galactus' reaction did seem a bit off, right? I gave that a pass, only because that was a "younger" Galactus; one who might not have been as stong-minded. Also, it depends on how low his energy-reserves may have been. If her were starving, he might not feel 100% for some "go-time" against the Elders. The Jarella bit also hit me strangely in the beginning. I attributed it to the Grandmaster screwing with the time-stream's affect on Hulk's sense of self. I expounded upon (and gave a NEW argument about) the impossibility of this event, with issue numbers and facts (FACTS, dammit!) about Strange's time in the blue outfit. Feel free to give it another read. Some Mindless Ones were destroyed during a four ish arc through the annuals(Hulk, Silver Surfer, Namor, DS), IIRC. Also, SS during his interaction with the Collector(in v. 3 SS) seemed to be completely unafraid of him, even to the point of threatening him, so I can't see why Galactus, at any point, would are about the Elders(recall that they were, as a group, afraid to face Galactus without all of the Infinity Gems, called Soul gems back then). Thanks for adding to the commentary. However, as far as I know (and... just went flip thru the issues now) there were NO Mindless Ones in those "Return of the Defenders" annuals. There WERE some generic demons and whatnot, but no Mindless Ones. Not in those issues, anyway. Perhaps you were thinking of something else. Bear in mind, that I DID state that there HAVE been some fairly recent instances (the past 3 or 4 years now) wherein the once indestructible Mindless Ones have been shown to be destroyed. As far as my memory can recall, it started some time around the "Nextwave" title. Before that... I don't recall any. As for the REST of the story here... Loeb really didn't do ANY homework in this one. But that does seem to be his whole method of writing. Do what he wants, no matter how the characters have been portrayed in the past.